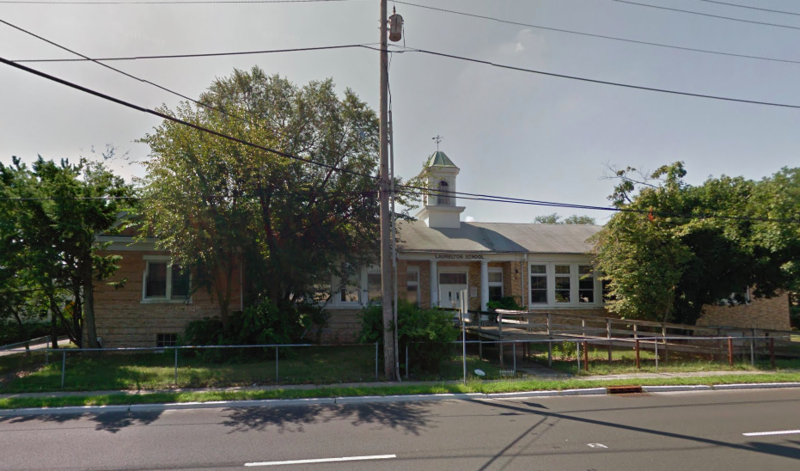 The Brick Township planning board on Wednesday night approved a plan proposed by the township’s school district to divide the former Laurelton School property into two parcels, with the district intent on selling one of them. The school, built in 1934, has not been populated by students since 2003. Its most recent use has been a storage facility, and for years district officials have sought to sell the property. But the school district also operates a central receiving and warehouse facility behind the school building, and wants to keep it running. A plan to divide the property into two pieces was rejected by the planning board in 2013, but amid a financial crisis in the school district, the board approved a modified plan that rearranged the boundaries, eliminating two zoning variances that would have been required five years ago. “The changes to the lot designations, removing those two variances, I would argue as circumstances that are substantial,” said school board attorney Benjamin Montenegro, who represented the district before the board at Wednesday night’s hearing. The 3.176 acre property, which stretches between Route 88 and Princeton Avenue, will still be divided between the former school building and the warehouse parcel. The subdivision, which was approved unanimously by the board, will allow for the school building to be sold by the district and likely demolished by a developer. James Edwards, the district’s business administrator, said he assumed most new owners would demolish the school structure, however a microbrewery was interested in maintaining the building and using it as a theme for its business. There has also been interest expressed by Hackensack-Meridian Health and a church. Wawa once inquired about the property, too, but has since received approval to build a retail store and gas station a few blocks away at the intersection of Route 88 and Jack Martin Boulevard. The school building measures about 8,500 square feet. Brick Township Planner Tara Paxton said the school building is considered a historic structure by the Brick Township Historical Society, though it never qualified to be placed on legal historic registries maintained by the state and federal governments due to a number of factors, including site modifications over the years and potential remediation that would be required. Paxton said whoever buys the property will need to comply with the township’s zoning ordinance, which classifies the plot as being within the B2 commercial zone. Paxton said she required the school district to acknowledge that the building’s former use as a school had been officially “abandoned” and recommended the board memorialize the abandonment in its formal resolution splitting the property. The abandonment statement means a future property owner would not be able to claim the building was a pre-existing school and open a new school there. Instead, whatever business will eventually occupy the space will need to be one that is permitted in the B2 zone. “That’s why I asked for the clarification in the resolution that there be an abandonment of the use,” Paxton said, explaining that the only school-related use for which the building could be utilized would be a for-profit enterprise, such as a trade school. Brick’s zoning ordinance does not allow public or nonprofit private schools in any of its zones. If a new school were to be proposed, its operator would need to obtain a use variance, approved by a supermajority of the Board of Adjustment. Montenegro stressed that the school district would look to sell the property given funding cuts being imposed by the state. More than $22 million will be taken from Brick’s budget by the state under a deal hatched by state Senate President Steve Sweeney (D-Gloucester) and Gov. Phil Murphy (D-NJ) last summer. “We’re leaving no stone unturned as to the options and opportunities we have,” he said.